Since launching Stride into early access last September, we’ve been thrilled by the excitement we’ve seen from the tens of thousands of teams who have adopted it as their communication platform. Now, six months in, we’re sharing an update on how organizations around the world are using Stride to move their work forward. Your conversations, your way — Better ways to organize your chat list with customizable options like alphabetical sorting and starring. Improved search functionality — Faster, smarter, and ready to find anything you need, right when you need it. 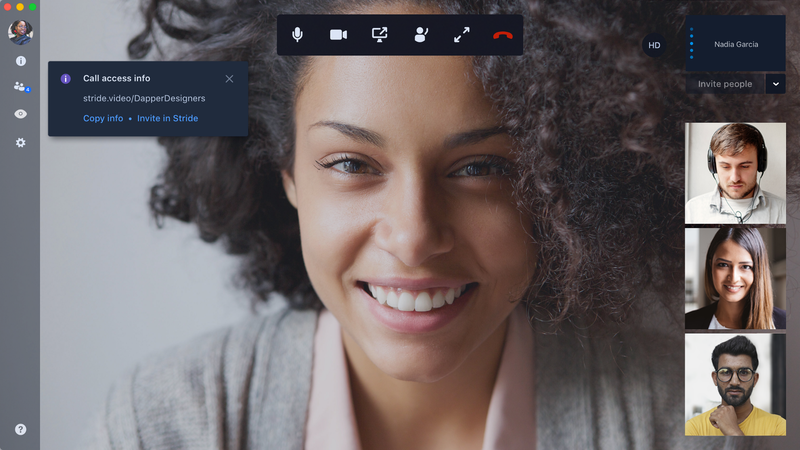 Enhancements to Meetings — An extra dose of improvements so you can more seamlessly connect face-to-face with teammates. Focus Mode empowers you to take a more mindful approach to staying connected with your team. 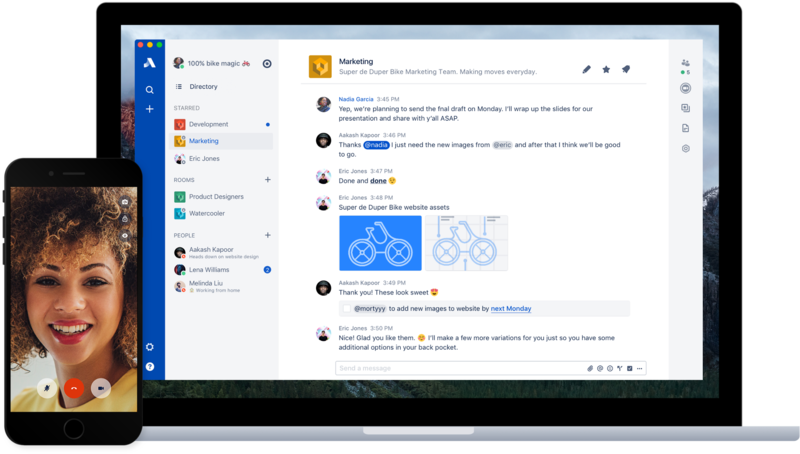 We built Stride with the belief that your messaging app should maximize collaboration and minimize distraction. But we also know that sometimes getting work done requires stepping away from it all. With one click, Focus Mode mutes all of your notifications and incoming messages and lets everyone know that you’re diving into deep work. We’re an incredibly lean and agile company. We were using the free version of Slack. We made the switch to Stride Standard because our development teams found higher value than we were previously receiving from other free products. Stride’s Focus Mode feature has been a lifesaver for developer productivity, and every member of our DevOps teams use Focus Mode to ship their code uninterrupted. Stride’s integrated collaboration tools let teams isolate important outcomes by marking any message as an Action or Decision. Actions and Decisions keep you and your team moving with real, action-oriented outcomes so you all see what’s next and why. For distributed, fast-moving teams, Actions and Decisions have been a game changer. Our team is spread across 13 countries, and being able to communicate effectively is key to our success. Stride has been amazing for breaking down communication silos and getting everyone on the same page — especially new employees. The searchable rooms and conversations, combined with the Decisions feature make it easy for any new employee to get up to speed fast and start contributing earlier. The biggest surprise about adopting Stride is how Stride Meetings has made our 100% remote team work better. For the first time we’re having spontaneous video meetings that make us feel more connected and therefore more productive. Meetings make it easy to connect face to face with anyone, anywhere. With Stride Meetings, I can get face to face with anyone on Earth — whether they are in my company or not. I can share a simple link or dial them in directly. It’s an incredibly powerful tool. 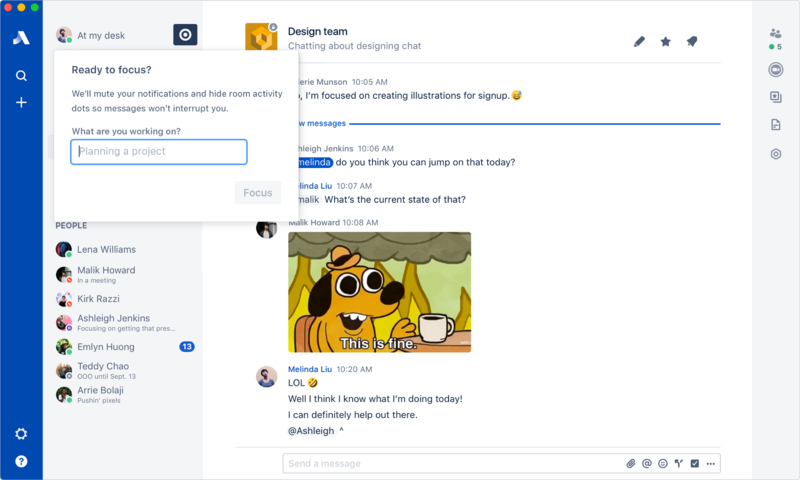 Atlassian’s obsession with team productivity relies on individuals being empowered to do their best work. We know that every individual works a little bit differently, from the tools they use to manage workflows to the ways they celebrate success. That’s why we’re excited to bring 20 new apps to customers today, including Trello, Google Drive, and Dropbox. Atlassian is a strong partner and shares our vision in bridging silos to simplify the way teams work and collaborate together. Integrating Dropbox with Stride brings content and communication together for teams that depend on visibility, feedback, and access to information anywhere, anytime. We are excited to offer this new capability to our joint customers. In Slack, developers had to jump between platforms all the time. Stride’s integration with Jira Software in particular is rich and actionable from within the chat room. Our DevOps team ships faster and with better quality than before. Learn more about Stride apps in the Atlassian Marketplace. If you’re a current Hipchat Cloud user, we’ll be upgrading you to Stride as soon as possible. We’ll be in touch with all of the details, or you can learn more here. We’re just getting started, and have much more to share in the coming months. We can’t wait for your team — and teams everywhere — to use Stride.